When you are having basement water issues, you want to make sure that you have some knowledge as to how to choose the right basement waterproofing contractor. You want to make sure that the contractor you choose gets the repair done right the first time and does not charge over-the-top fees. Matthews Wall Anchor & Waterproofing has been serving the Pennsylvania, West Virginia, and Ohio area for over 30 years. We know what it takes to provide quality waterproofing services at a reasonable cost. Comparing companies is always a good idea when it comes to a big job like basement waterproofing. Matthews Wall Anchor & Waterproofing offers you these tips when comparing and choosing the basement waterproofing contractor for your home or business in PA, WV, or OH. Make sure that the company has established a good reputation in the area. Find out if the company is insured, bonded, licensed, and certified. Reputable companies don’t ask for large advanced payments. They may ask for a minimal down payment. Obtain written estimates from several waterproofing contractors. Compare the cost of the work that will be done along with the quality of the products that will be used. Contact the Better Business Bureau and see if there have been any complaints regarding any of the companies. Matthews Wall Anchor & Waterproofing has an A+ rating with the Better Business Bureau! Check Angie’s List and find out if there are any reviews or ratings for the companies. 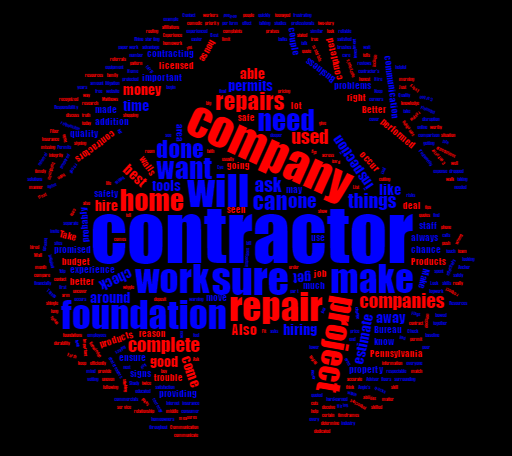 After you have selected the contractor you will be using, obtain a written contract in accordance with the estimate. Read it carefully and make sure you understand its content. Ask a lawyer, if necessary, if you are unsure of something in the contract. For any type of big repair job that you may need for your home or business, it is always smart to follow these same tips. 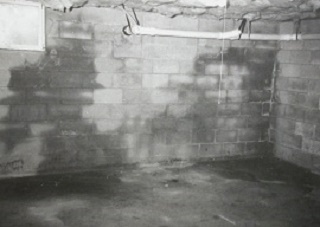 Matthews Wall Anchor & Waterproofing knows that when there is a water issue in the basement, many people panic and don’t take the time to thoroughly investigate their waterproofing contractor. It will save you time and money to make sure you get the best contractor for your waterproofing needs. The contract should include a warranty or guarantee with the conditions spelled out. For instance, if the problem is not solved, what is the company obligated to do and what are the alternatives? Matthews Wall Anchor & Waterproofing wants to make sure that you know the steps to take in getting the best waterproofing contractor for your needs. If you’re comparing waterproofing companies in Pennsylvania, West Virginia, and Ohio, you can count on Matthews Wall Anchor & Waterproofing to provide up-front pricing and contracts you can understand. We take pride in the outstanding reputation we have established and we intend to keep it that way. Our customers come first, as you can read in the testimonials. We use only the best products manufactured by Earth Contact Products (ECP), the leader in waterproofing and foundation products in the industry. 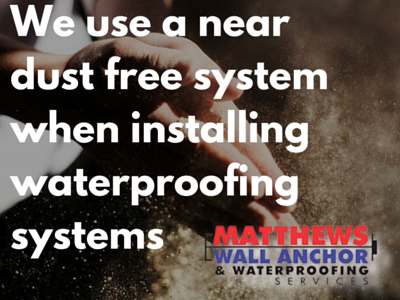 Contact Matthews Wall Anchor & Waterproofing today if you are looking for a reputable waterproofing company.